The Director of Barbican Capital Management Limited in London. He was previously the investment manager of one of the U.K.'s leading pension funds. 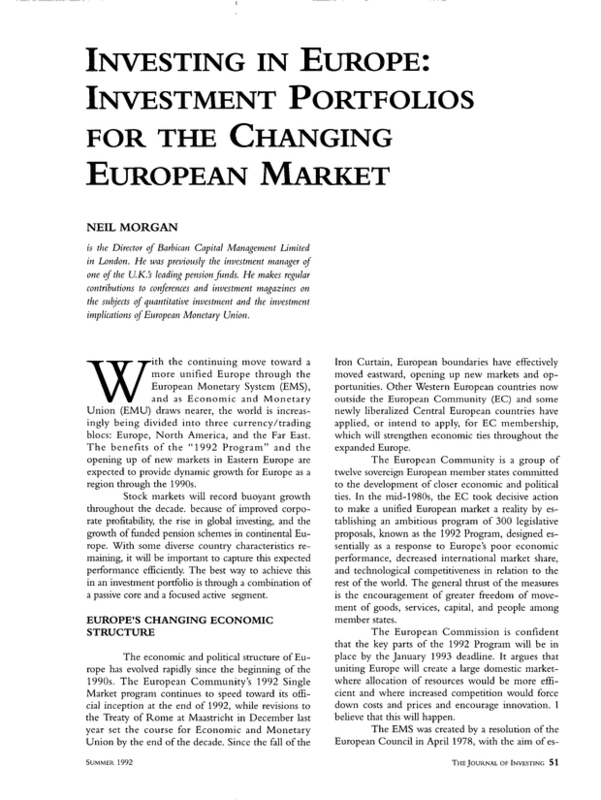 He makes regular contributions to conferences and investment magazines on the subjects of quantitative investment and the investment implications of European Monetary Union.